I had never, before the making of that television show, heard of Bletchley Park. I knew there had been code breaking as I knew that somewhere was a group of Brits that sussed out the Enigma Machine, but I didn't know that some of the code breakers had been women, and how bloody good they were at their jobs. Now to some, this may not be unusual as nothing at all was revealed about Bletchley until the 1970's anyway, but I am a librarian, and Bletchley Park was basically the beginnings of GCHQ, which is where librarians who want to be James Bond go to work, so for me not to know about this I felt like I had been living with a huge gap in my knowledge. What happens when I find I have a gap in my knowledge? I go a little crazy trying to find out a whole lot of stuff about it, and that lead me to this wonderful book by Sinclair McKay. 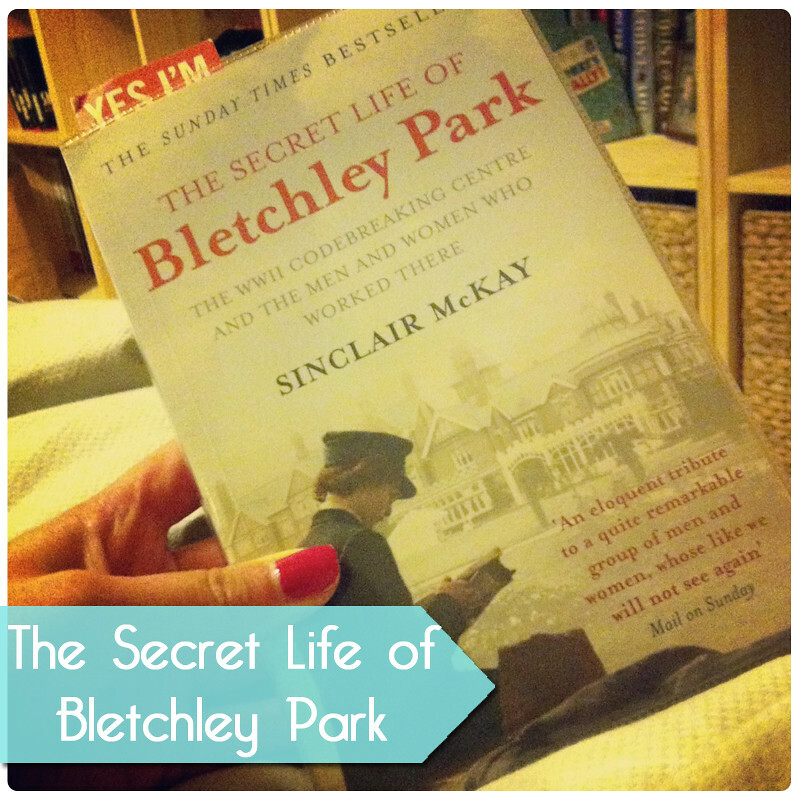 The Secret Life of Bletchley Park is most definitely a non-fiction work, describing what life was like while there, how the code breakers were recruited from the nations top universities, and how difficult life has been afterwards for the people who worked there, unable to share any of the information they gathered or even mention that Bletchley existed. I am not going to sweeten this book up, it is a hard read, when I took this on I was not an experienced non-fiction reader and I really struggled to get into this as it simply didn't hold my attention at first. I remember sitting in my armchair exasperated thinking why do I need to know so much about each of these individual people's lives?! This book is oh so worth persevering though, you need to know about those people because they are the ones who finally accepted they could speak up about Bletchley, and they passed on their knowledge before they passed away. As a Librarian (who, if you aren't aware, is essentially the preserver of knowledge for future generations) I struggle to not feel angry that so many of the people who worked at Bletchley still do not feel they should talk about it, and are letting a huge hole in our history stay covered up, I felt a deep pride for those people who have told their stories and allowed others to learn about their experiences so it did not take long for me to become engrossed. Sinclair McKay took on a difficult subject, and though dry at times somehow he has managed to make it incredibly interesting, and I don't think that a better job could have been achieved. I could not wait to keep reading about the stages of the development of the Bombe machines, how close they were to cracking Enigma several times before the Germans got wise and upped their security. The tension of the time period is very accurately transcribed into the book, and by the end I was determined to go and visit Bletchley, something which is absolutely on my to-do list for this summer. This has sparked a new interest for me, and the next book I fancy reading to do with Bletchley is Enigma by Robert Harris, a fictional take on code breaking, and I imagine that if you are not quite up to tackling the non-fiction Harris might be a good place to start for fictional renditions. If you do fancy a challenge though I absolutely recommend you give this book a try.